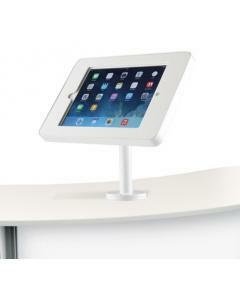 This modern and simple design makes for a universally popular iPad floor stand. 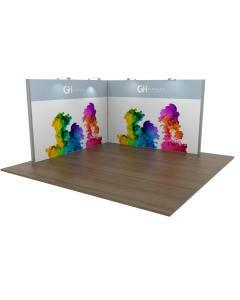 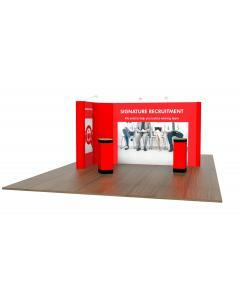 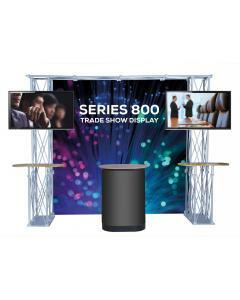 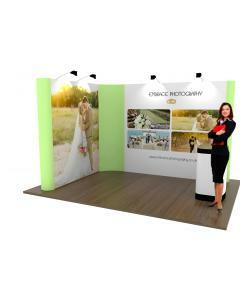 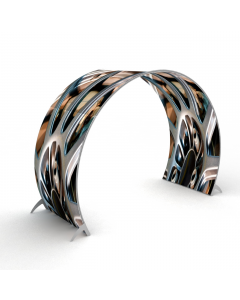 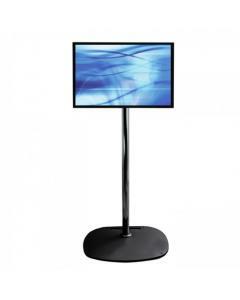 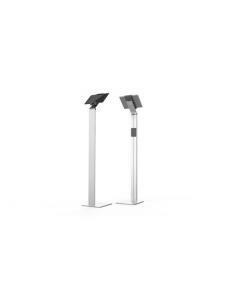 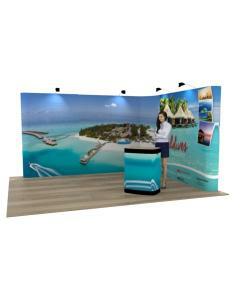 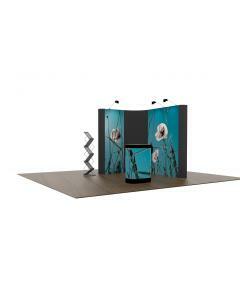 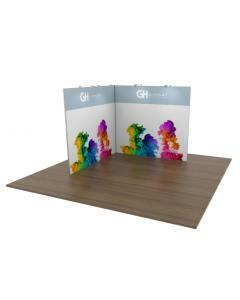 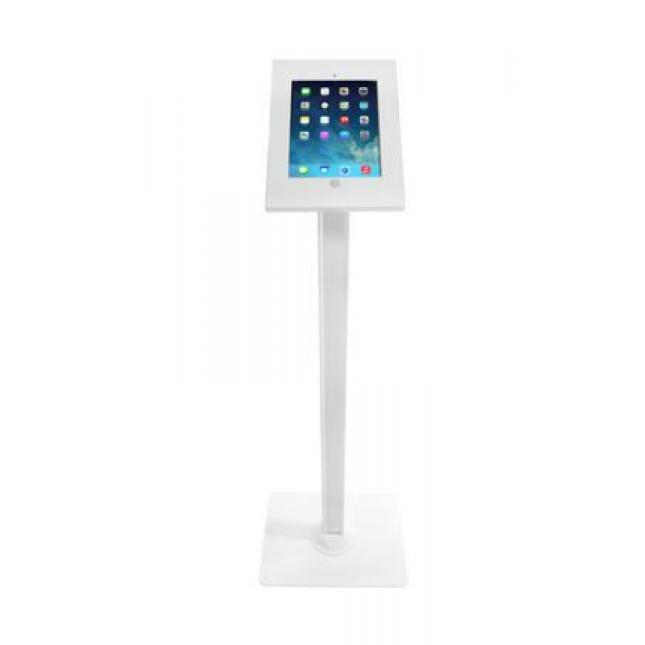 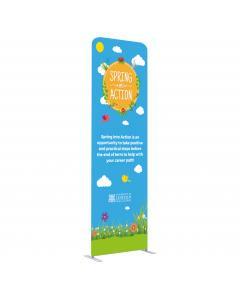 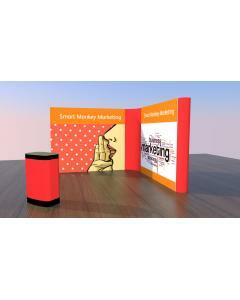 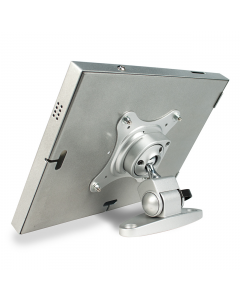 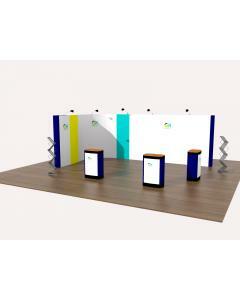 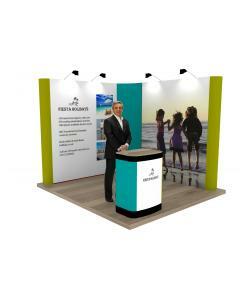 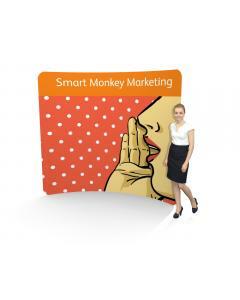 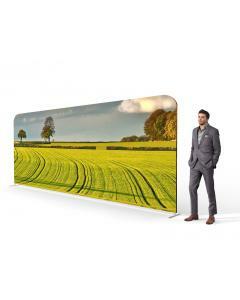 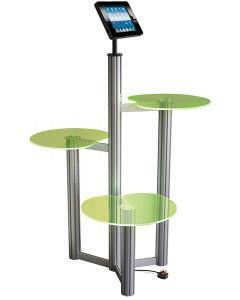 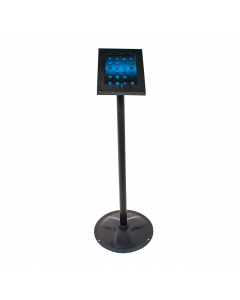 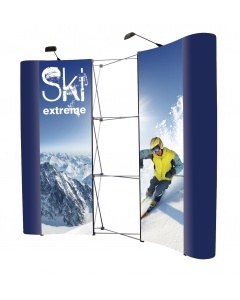 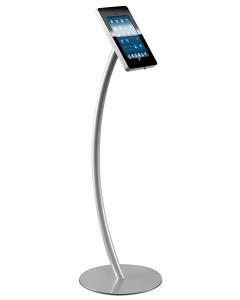 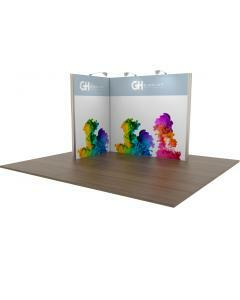 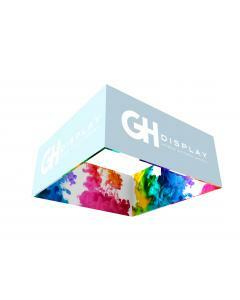 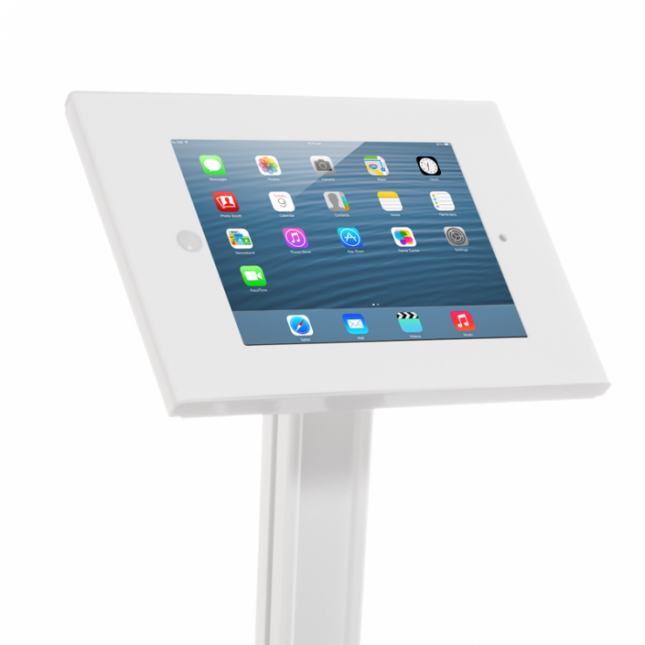 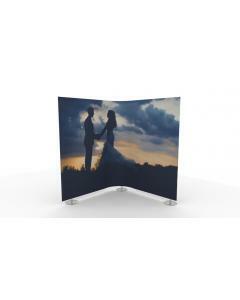 It is a free standing iPad solution and provides customers and visitors with touch screen access whilst standing on exhibition display stands and trade show displays. 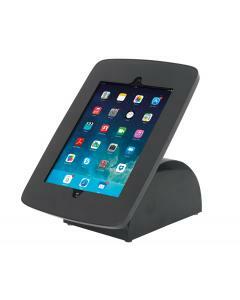 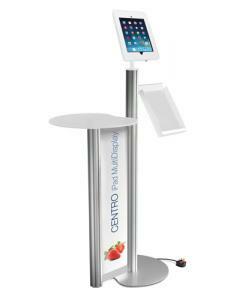 To customise this iPad stand we can add a cut vinyl company logo to the iPad holder or floor base. 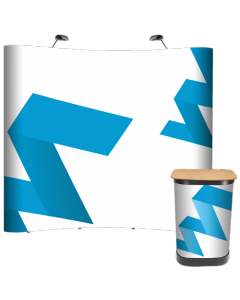 Select the graphic option from the drop down menus and upload a vectored logo using the upload link. 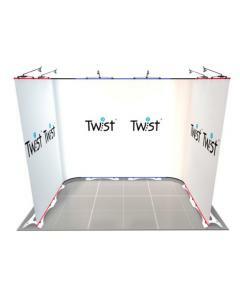 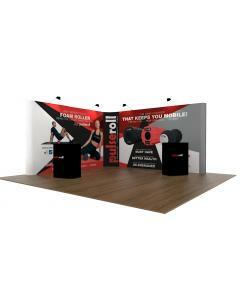 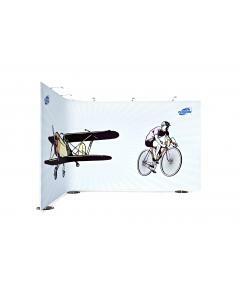 Please note the graphic option is for one logo placement, if you would like multiple logos installing on the stand please contact us for a quote. 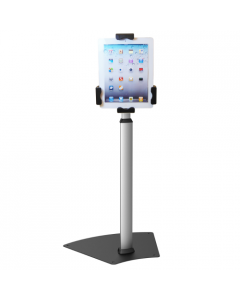 This sturdy iPad stand is also available with white A4 portrait literature units that simply and securely fit onto the post (see images). 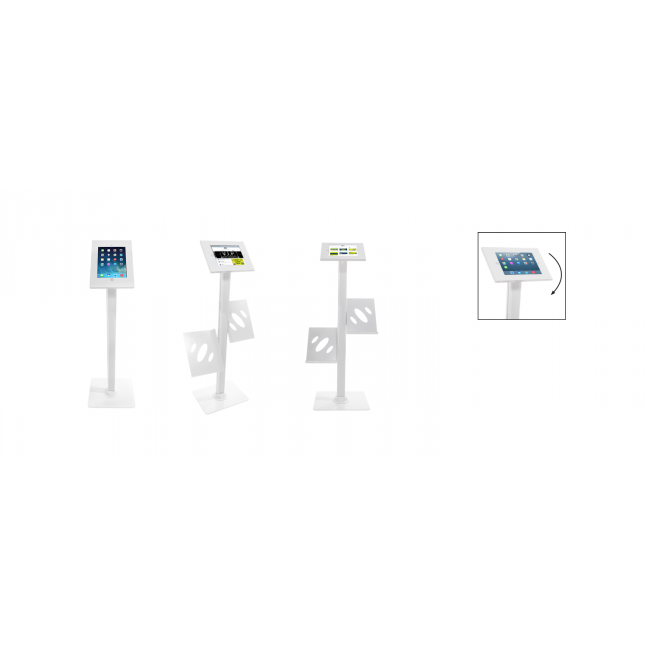 A maximum of six literature units can be added (three on each side of the post). 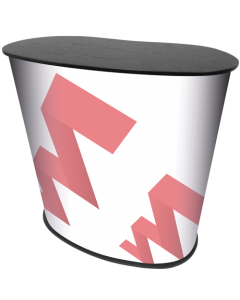 Add these using the drop down option above. 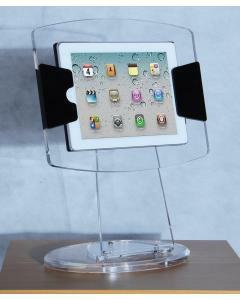 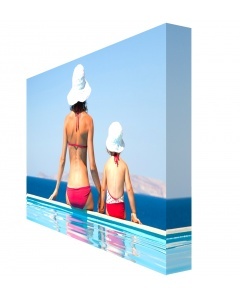 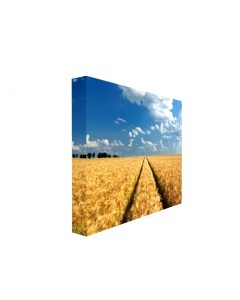 The iPad can be tilted to various angles and the screen can be set to a portrait or landscape position. 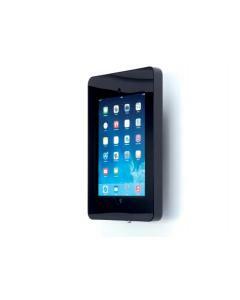 The iPad can be placed inside the casing with the battery charger plugged in. 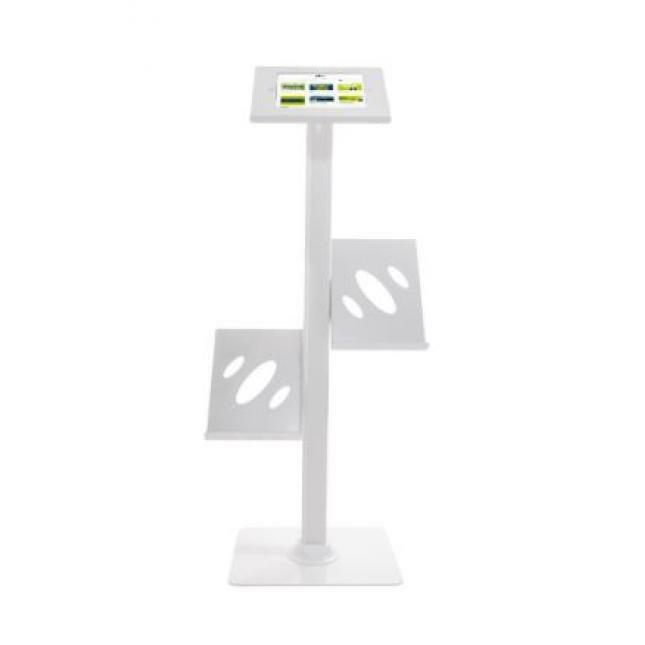 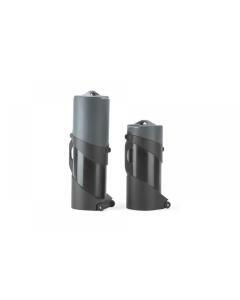 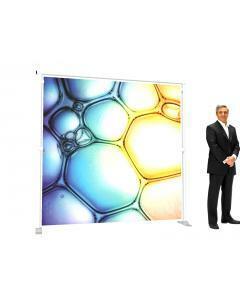 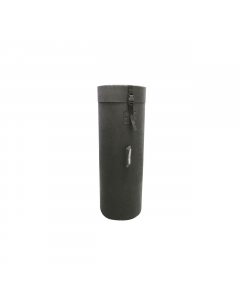 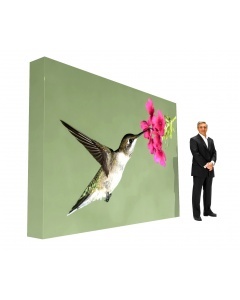 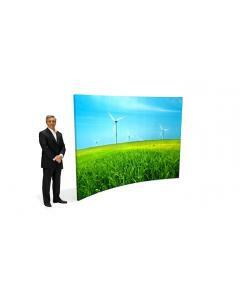 The casing unit and post allows for the cable to be discretely hidden from view. 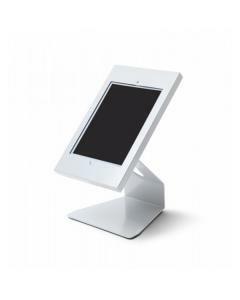 The user has the option of allowing the iPad home button to be accessed or obscured using the blanking button provided. 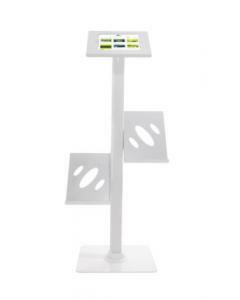 The base is supplied with pre drilled holes so that if required, the unit can be screwed to the floor. 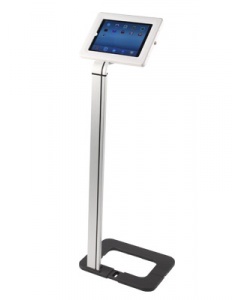 Please note, the floor base for this iPad stand sits in a landscape position. 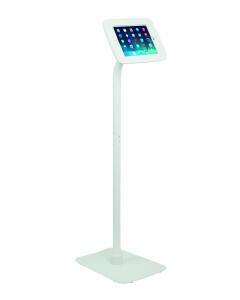 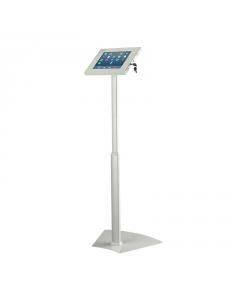 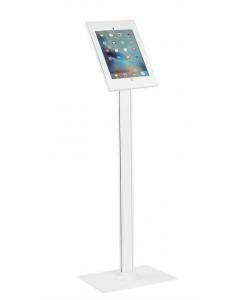 Why choose the White iPad Floor Stand? 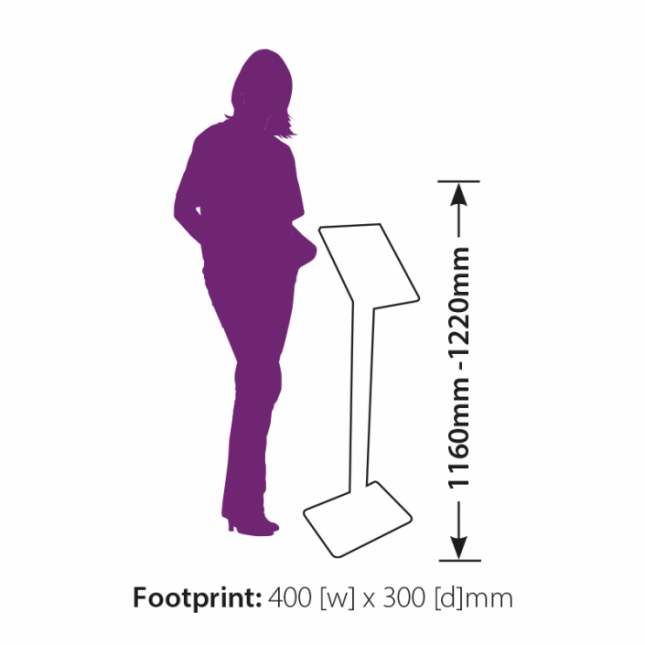 Up to six A4 literature holders can be added to the post. 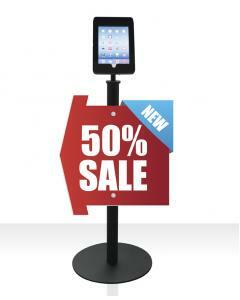 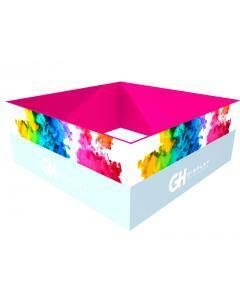 Vinyl cut logo to the holder or floor base. 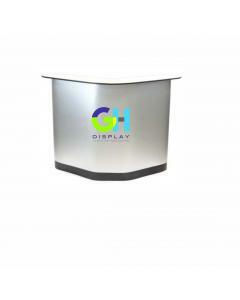 See drop down options. 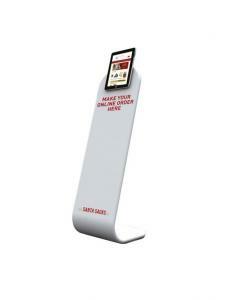 Warranty: Comes with a two year guarantee.